Grey scale and paper displays – Manuscript published! 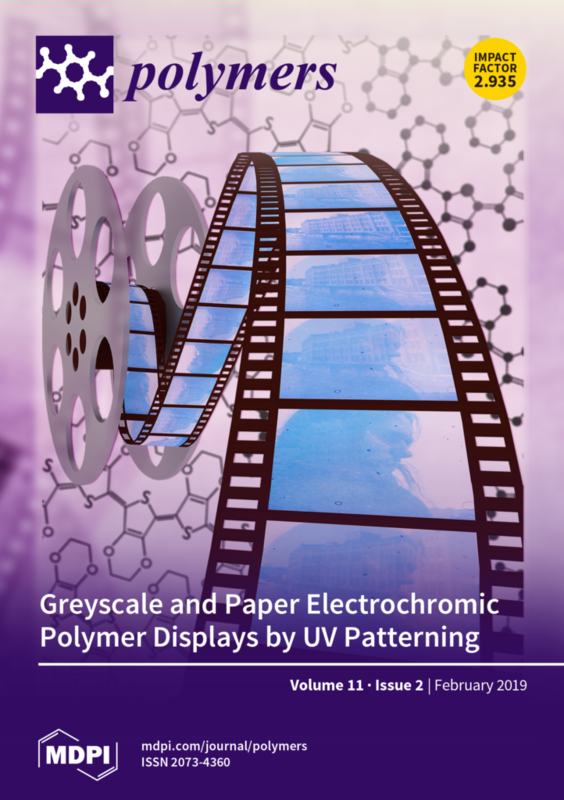 Researchers from Linkoping University and RISE Acreo have collaborated on a project to produce greyscale and paper displays using conductive polymers and a UV-patterning technique. The displays rely on the electrochromic properties of the materials meaning the display will change with the onset of an applied voltage. The authors use a vapor synthesis technique and photomasks to embed images into conductive polymers which appear and disappear upon activation of the display. The researchers use this phenomenon to produce dual image electrochromic displays. Finally, a proof of concept paper display was presented, hinting at the future of this technology. The manuscript was funded partially by the Digital Cellulose Center project under Theme 4.